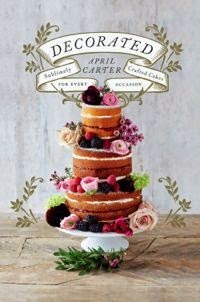 Rhubarb & Rose: Exciting News: My Book! I'm SO excited to announce my biggest baking project yet - my very own cake pops book! 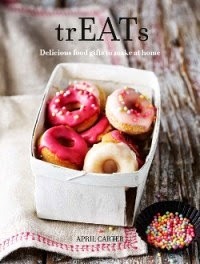 'Top of the Cake Pops' will be released in October but you can pre-order it from Amazon now. 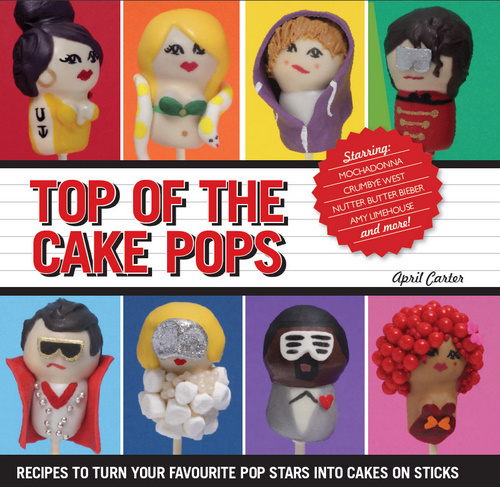 It features basic cake pop recipes and step by step instructions on how to make hilarious cake pops in the shape of your favourite pop stars from Amy Limehouse (lime flavour of course) to Elvis Popsley. I've been working with the lovely people at Hardie Grant over the last few months and it's been just so much fun (and very hard to keep a secret!). I have to thank my amazing husband, friends and family for all their help and support from cake tasting to silly pun creation. Can't wait to share it with you when it hits the shops in October and I hope you have as much fun with it as I have! Wow! Congratulations! That is an excellent accomplishment! I'm about to buy your book on amazon.... Very excited! Does it include pops for the Beatles? Thanks Mama - yes, if you're in London!